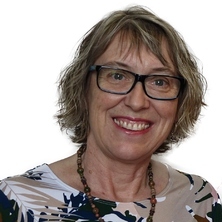 Helen Wozniak has 28 years experience as a clinician (orthoptist) and an innovative educator, joining the University of Queensland in June 2017, as Academic Lead Assessment in the Office of Medical Education. Helen’s career began as a clinician (orthoptist) in rural NSW, then later as student supervisor at a large teaching hospital in Sydney under the guidance of the late Prof Fred Hollows. In 1990 she joined the University of Sydney undertaking curriculum reform for the clinical education program in orthoptics and lectured in the discipline of ophthalmology. During this time she was awarded two University of Sydney excellence in teaching awards (2003 & 2004). She then joined the central university elearning team as the inaugural project manager for Sydney University’s five health faculties where she worked closely with academic staff to strengthen their programs by using technology enhanced learning strategies, before moving to the Centre for Innovation and Professional Health Education Research to enhance the clinical skills curriculum across the seven clinical schools serving the Sydney Medical Program. In 2008, Helen left Sydney moving to the Northern Territory to lead the Academic Development Team at Charles Darwin University, and then in 2011 to Flinders University joining the academic team delivering the new Northern Territory Medical Program. She worked closely with staff across the Northern Territory to utilize her skills in elearning, educational design and assessment to bridge the vast distances encountered by staff and students studying medicine and other remote health programs. During this time she developed innovative clinical supervisor training programs which were awarded a Flinders University Teaching Excellence Award in 2016 and the Australian Awards for University Teaching: Citation for Outstanding Contributions to Student Learning in 2017. Journal Article: What have we learnt about using digital technologies in health professional education? Wozniak, Helen (2016). Get ready, get learning : investigating university students' transition to online distance learning in the health sciences PhD Thesis, Charles Darwin University, Charles Darwin University. The Student Experience: Research and Development in Higher Education Vol. 32. Edited by Wozniak, Helen and Bartoluzzi, Sonia Milperra, NSW Australia: Higher Education Research and Development Society of Australasia, 2009. Wozniak, Helen National competency standards for the profession of orthoptics Revised ed. Hampton, VIC, Australia: Orthoptic Association of Australia, 2004. Wozniak, Helen, Uys, Philip and Mahoney, Mary Jane (2012). Digital communication in a networked world. In Joy Higgs, Rola Ajjawi, Lindy McAllister, Franziska Trede and Stephen Loftus (Ed. ), Communicating in the health sciences 3rd ed. (pp. 85-91) South Melbourne, VIC, Australia: Oxford University Press. Wozniak, Helen and Silveira, Sue (2007). Transforming learning: using structured online discussions to engage learners. In Angela Brew and Judyth Sachs (Ed. ), Transforming a university: the scholarship of teaching and learning in practice (pp. 163-173) Sydney, NSW, Australia: The University of Sydney Press. Mahony, M.J. and Wozniak, H. (2005). Diffusion of innovation and professional development in eLearning: the CHS eLearning Resource case study. In M. Tulloch, S. Relf and P. Uys (Ed. ), Breaking down boundaries: international experience in open, distance and flexible learning: selected papers (pp. 66-74) Bathurst, NSW, Australia: Open and Distance Learning Association of Australia. Wozniak, H. (2005). Online discussions: improving the quality of the student experience. In M. Tulloch, S. Relf and P. Uys (Ed. ), Breaking down boundaries: international experience in open, distance and flexible learning: selected papers (pp. 170-179) Bathurst, NSW, Australia: Open and Distance Learning Association of Australia. Wozniak, Helen and Mahony, Mary Jane (2006) Show me an example!. Synergy, 23 11-12. Devonshire, Liz and Wozniak, Helen (2006) Working together: developing elearning activities to promote interprofessional learning. Synergy, 23 25-27. Wozniak, H., Mahony, M. J., Everingham, F., Poulos, A. and Reid, B. (2005) Inquiry based learning in the health sciences: Countering the limitations of ‘problem based’ learning. Focus on Health Professional Education: A Multi-Disciplinary Journal, 7 2: 18-30. Glover, Samantha, Kelly, Megan, Wozniak, Helen and Moss, Nathan D. (1999) The effect of room illumination on visual acuity measurement. Australian Orthoptic Journal, 34 3-8. Goodacre, Helen and Jolly, Neryla (1996) Learning to observe in the clinical setting. Synergy, 2 7-8. Piraino, Josephine and Goodacre, Helen (1996) Normal threshold values for red targets in the central 10 degree visual field. Australian Orthoptic Journal, 32 19-25. Williams, Megan, Wong, Tiffany and Goodacre, Helen (1995) Comparison of crowded single optotypes with linear acuities in amblyopes. Australian Orthoptic Journal, 31 21-28. Elmurr, P., Thompson, M. and Goodacre, H. (1993) The effects of aerobic exercise on intraocular pressure. Australian Orthoptic Journal, 29 18-24. Goodacre, H. (1992) The computerized visual field: the complexities of its analysis. A literature review. Australian Orthoptic Journal, 28 1-10. Goodacre, H. (1985) Minus overcorrection: conservative treatment of intermittent exotropia in the young child: A comparative study. Australian Orthoptic Journal, 22 9-18. Woziniak, H. and McEldowney, R. (2015). Layers of transition: the lived experiences of online distance learners. In: Research and Development in Higher Education: Learning for Life and Work in a Complex World. HERDSA, Melbourne, VIC Australia, (). 6-9 July 2015. Wozniak, Helen (2013). Student Engagement with an Online Orientation Resource: How Learning Analytics Refines Educational Design Principles. In: Proccedings of EdMedia 2013--World Conference on Educational Media and Technology. World Conference on Educational Multimedia, Hypermedia and Telecommunications, Victoria, British Columbia, (941-950). 24 -26 June 2013. Bouchoucha, Stéphane and Wozniak, Helen (2010). Is peer assessment of asynchronous group discussions fostering skills relevant to our future graduates?. In: ASCILITE 2010 - The Australasian Society for Computers in Learning in Tertiary Education. 27th Annual Conference of the Australasian Society for Computers in Learning in Tertiary Education, ASCILITE 2010, Sydney, Australia, (113-118). 5-8 December 2010. Philip, Robyn and Wozniak, Helen (2009). Peer review of teaching practice and resources: Exploring new spaces to embrace cultural change. In: ASCILITE 2009 - The Australasian Society for Computers in Learning in Tertiary Education. 26th Annual Conference of the Australasian Society for Computers in Learning in Tertiary Education - "Same places, different spaces", ASCILITE 2009, Auckland, New Zealand, (786-790). 6-9 December 2009. Craig, Pippa , Wozniak, Helen, Hyde, Sarah and Burn, Daniel (2009). Student use of web based lecture technologies in blended learning: do these reflect study patterns?. In: ASCILITE 2009 - The Australasian Society for Computers in Learning in Tertiary Education. 26th Annual Conference of the Australasian Society for Computers in Learning in Tertiary Education - "Same places, different spaces", ASCILITE 2009, Auckland, New Zealand, (158-167). 6-9 December 2009. Lever, Tim , Mahony, Mary Jane and Wozniak, Helen (2007). GetReal: building and managing essential academic learning from the academic periphery. In: ASCILITE 2007 - The Australasian Society for Computers in Learning in Tertiary Education. 24th Annual Conference of the Australasian Society for Computers in Learning in Tertiary Education, Singapore, (570-577). 2-5 December 2007. Wozniak, Helen, Mahony, Mary Jane, Pizzica, Jenny and Koulias, Marianna (2007). How do students 'get learning'? Unexpectedly diverse pathways in an activity based, online orientation site. In: ASCILITE 2007 - The Australasian Society for Computers in Learning in Tertiary Education. 24th Annual Conference of the Australasian Society for Computers in Learning in Tertiary Education, Singapore, (1104-1108). 2-5 December 2007. Wozniak, Helen, Hancock, Mark, Munn, Joanne and Mendrela, Gosia (2006). Designing reusable online clinical reasoning templates: A preliminary evaluation. In: Who'S Learning? Whose Technology?, Proceedings, Vols 1 and 2. 23rd Annual Conference of the Australasian-Society-for-Computers-in-Learning-in-Tertiary-Education, Sydney Australia, (915-919). Dec 03-06, 2006. Wozniak, H. (2005). The balancing act: managing emerging issues of elearning projects at the university of Sydney. In: ASCILITE 2005 - The Australasian Society for Computers in Learning in Tertiary Education. 22nd Annual conference of the Australian Society for Computers in Tertiary Education, ASCILITE 2005, Brisbane, Australia, (735-745). 4-7 December 2005. Scott, Karen M., Mahony, Mary Jane, Peat, Mary and Wozniak, Helen (2005). Using still images in online teaching and learning: emerging issues affecting current practice. In: Proceedings of E-Learn 2005--World Conference on E-Learning in Corporate, Government, Healthcare, and Higher Education. World Conference on E-Learning in Corporate, Government, Health Care and Higher Education, Vancouver, BC, Canada, (1094-1099). 24-28 October 2005. Wozniak, Helen and Silveira, Sue (2004). Online discussions: promoting effective student-to-student interaction. In: R. Atkinson, C. McBeath, D. Jonas-Dwyer and R. Phillips , Beyond the comfort zone: Proceedings of the 21st ASCILITE Conference. 21st ASCILITE Conference, Perth, Australia, (956-960). 5-8 December 2004. Using online discussion groups to enhance the learning outcomes of undergraduate orthoptic students. What have we learnt? Silveira, S., Wozniak, H. and Heard, R. (2004). Using online discussion groups to enhance the learning outcomes of undergraduate orthoptic students. What have we learnt?. In: D. Verlohr, A. Rydberg and Z. Georgievski, Transactions of the 10th International Orthoptic Congress. Global Perspectives Converge Downunder, Melbourne VIC Australia, (359-362). 14-17 November 2004. Inquiry based teaching and learning: What's in a name? Mahony, Mary Jane, Wozniak, Helen, Everingham, Fran, Reid, Beth and Poulos, Ann (2003). Inquiry based teaching and learning: What's in a name?. In: C. Bond and P. Bright, Research and Development in Higher Education: Learning for an Unknown Future Vol. 26. Learning for an Unknown Future, Christchurch, New Zealand, (447-456). 6-9 July 2003.